Love to run your own photography business but don’t know where to start? Here are the first 10 steps you need to take. 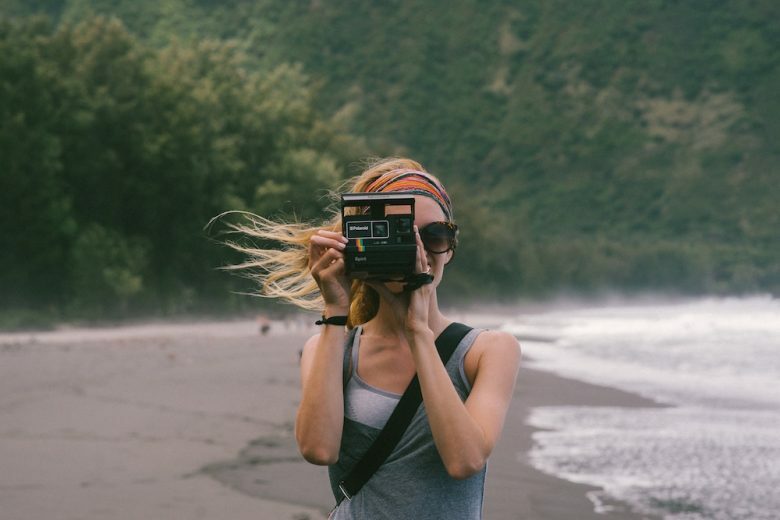 You only have to look at the likes of Instagram to see how popular photography is today. Smartphones and improved cameras at more affordable prices have made everyone into what they believe to be a professional photographer. Although it is slightly harder to set yourself apart from the thousands of amateur photographers out there, the protective camera case experts at Peli UK have put together the following 10 tips to setting up your first photography business. You’ve decided you want to dedicate your life to photography but when it comes to making a living from your work, you need to focus on a niche to start off with. Many photographers looking to start their own business try to be something for everyone, by doing some wedding photography here and a bit of fine art photography there. Although it may be harder at first to get some traction, in the long run, your focused niche photography business will be better off. Make a list of your favourite types of photography and then put them in order of potential income, your current skills and enjoyability. Now that you’ve got your niche all sorted, it’s time to take a look at what your competition is doing. You can learn a great deal by going through their work and making a folder of the photographs you like, the photographic styles you’d like to learn and the ways in which you can improve your own work. Get out there and start practising. Taking time to do this will not only get your creative juices flowing, it will allow you to take the best aspects of your competitors’ photography and bring them together to improve on them, or to create your own approach to the niche. Analyse your competitors’ websites and look to see what type of clients their work appeals to and how you can reach this target audience. It’s important to draw a clear line between copying or stealing from your competition and trying to improve your work and learn about the market. If you’ve just graduated, you may consider being an assistant for one of these photographers, to learn about the ins and outs of running a photography business and the creative process. This can be an extremely valuable experience before transitioning to opening your own photography business. Although your business and marketing plan will change over time, it’s important you have a solid basis and direction for launching your photography business. One of the most important parts of your plan should be the pricing. Calculate your average profit margin per job and how many jobs you will need to do in a week, month and year to achieve your desired annual income for the first year and each subsequent year, whilst also considering the growth of the business. You will then be able to build out a pricing plan which will include your break-even number and what prices are unreasonable and should be avoided. It’s important that you start thinking of photography not just as a hobby, but as a viable business. You will need to show prospective clients the value in your work and why the pricing is fair, because they will be directly comparing you to your competition. It can be extremely tempting to go on a camera and accessories shopping spree to purchase all the best and latest photography gear around, but don’t do it. As you’re starting off, keep your initial costs low at first and only buy the equipment if necessary. If you know you’re going to need a particular lens for just one or two jobs, think about renting it instead of purchasing it, unless you start getting more of those types of jobs where you would need to use it on a regular basis. This is perhaps the most enjoyable part of setting up your first photography business. You obviously love photography, so it’s time to do what you love and take photographs, building up your personal portfolio. As your portfolio is made up of the shots you love to take, without any constraints or boundaries, it is this type of work that will get you noticed and hired. It also shows to your prospective clients your personality and passion whilst also opening up the opportunity of developing this style further in the future. Your business plan and portfolio should help the focus of your website and marketing materials. The website is your storefront and will be where you get a lot of your first few jobs from, so make it look good but also to the point. Make sure not to ignore marketing your new photography business. Set some time aside every week in your calendar and create a simple marketing plan which covers all aspects from meeting with local businesses to newsletters, blog posts, and social media. You and your business will reap the rewards of the time you dedicate to marketing at the start of forming your photography business. By reaching out to your friends, family, and acquaintances, you can begin making a name for yourself and your work. They will become your brand ambassadors as they naturally spread the word about your business and photographic talents without you having to get into a sales pitch. Although it may seem ‘old-school’, print off some business cards and give them to your friends, family and acquaintances. You never know who they might be talking to when they’re asked if they can recommend a good photographer. These moments are priceless and will form the basis of a great starting point for you and your business. It’s time to take your business further than just your family and friends. Whilst this is the most daunting aspect of starting a business for many new photographers, it can be the most rewarding. Try to pair up with complimentary local businesses, such as a caterer or DJ if you’re a wedding photographer. You may have to create special discounted rates for these first few deals, however, once you’re up and running, you can raise your prices back up to your normal rate. What’s more, is you’ll now have a great client list, making it even easier to grow your business. After completing your first three months as a professional photographer, you should reinvest some of your earnings into the business and yourself. This is when you can start to upgrade an old lens or invest in improved editing software and new accessories for your camera. Make sure not to blow all your earnings at once. You can do this by making a list of the purchases in order of importance and price. This will help you prioritise your purchases for the time being. You should also invest in yourself. Schedule time each week to take personal photographs, try new styles of photography and take photography classes to continue improving your skills and photographs. As with any other business, you will have a rollercoaster of ups and downs within the first year of your new photography business. However, the rewards of dedicating yourself to your passion and dream will lead to the success of your photography business.